We have a lot of plans for 2019. 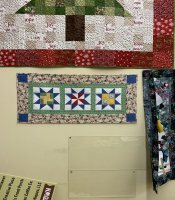 Classes are on the website for January and beyond. Stay up to date by following us on Facebook as well as thru the newsletter. We are beginning with many new thing. 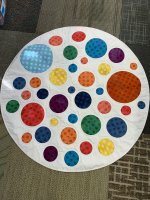 Technique Tuesday, once a month we will share a technique and explore it hands on. 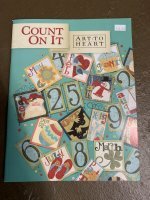 Count on it - A once a month small quilt raw edge applique. 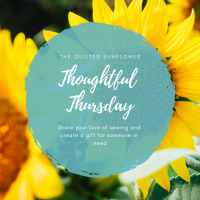 Thoughtful Thursday - Several times during the year we will have a charity sew day, plans are for pillowcases for Children's Mercy and many other projects. 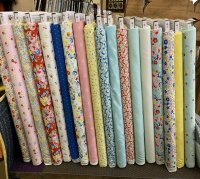 Mini Monday - several Mondays this year we will work on a wonderful mini quilt, hone your skills on these fun mini quilts. We have many other fun classes planned as well. Check out the Website for further details. Please call or stop by the shop if you have questions. Class must be paid for prior to the class day. 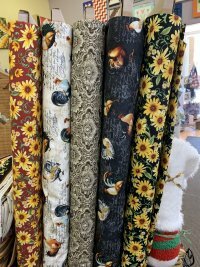 Every Wednesday at 1pm on our The Quilted Sunflower Facebook page we will have a Facebook Live! Catch a glimpse of what's new! 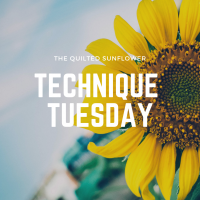 Just a reminder that you're receiving this email because you have expressed an interest in The Quilted Sunflower.